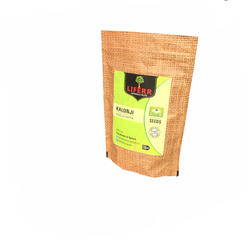 We are a leading Manufacturer of liferr dhaniya seeds 250 grams, liferr heena powder 250 grams, liferr ajwain seeds 250 grams, liferr awala powder 250 grams, liferr giloy powder 250 grams and liferr basil seeds 250 grams from Neemuch, India. Coriander seeds and leaves are part of Indian culinary since ages. It is used for therapeutic purposes as well. It is also famous by the name Cilantro seeds. Some people genuinely dislike coriander. Interestingly there is a genetic influence on this hatred. To retain our goodwill in clients' consideration, we are actively committed to offering a wide verity of Ajwain Spices that are delicious in taste and rich in flavor. Offered spices are mainly used for adding flavor in food. It is traditionally known as a digestive aid, relieves abdominal discomfort due to indigestion and antiseptic. We offer these spices as per the requirements of the clients at market leading prices. Amla or Amalaki can be said as the most used Ayurvedic ingredient. It is both a food and medicine. The little fruit is stuffed with innumerable health benefits that can ever be imagined. The word Amla refers to sour, which is its predominant taste. Its botanical name is Emblica Officinalis or Phyllanthus emblica. Guduchi or Giloy is a famous Ayurvedic herb, used extensively in treatment for fever, diabetes, urinary tract disorders, anemia, jaundice, asthma, cardiac disorders, etc. Sabja seeds also called as tukumaria or sweet basil seeds are commonly used for Falooda, sherbet and in other Asian drinks. It is believed in India that they help to beat the summer heat, keeping the body cool. Basil seeds are loaded with very important nutrients. they have similar property as chia seeds and they come to use in the summertime for drinks that reduce body heat. Basil seeds are also good for weight loss, healthy skin, cure acidity, dental health, and sabja seeds have numerous health benefits. The scientific name of Sabja seeds is Ocimum basilicum. The different common names of basil seed are Sabja seeds, Falooda, Arabic falooda seeds, Sabja Jinju, Thai holy basil, Selashi Tukmaria, Sabja Vethai, Hazbo, Tuk malanga, Basilic cultivate Basilien Kraut, and sweet basil seeds. Mustard seed is used in Ayurveda for both external application and oral use, in treating worm infestation, pruritus (itching), psychiatric disorders, low digestion strength and more. Shatavari – Asparagus racemosus helps a mother to lactate more, useful in treating male and female infertility, induces sleep, calms mind and stomach and much more.Botanical Name- Asparagus racemosus Wild. Popularly known as the sweet leaf or the honey leaf, stevia is an effective regulator of blood sugar. It helps lower elevated sugar levels, while having zero effect on normal sugar levels. It is thus an effective medicine for diabetics and people suffering from hypoglycemia. Babool tree or Babbula – Acacia nilotica Linn.is an Ayurvedic herb used in the treatment of skin diseases, dhat syndrome, bleeding disorders and to treat intestinal worms. Flaxseed / linseed along with Flax seed oil are used both externally and orally since the times of Charaka. It is used in treating cholesterol, obesity, arthritis, high BP, wounds, abscesses etc. Tribulus is known as Gokshura in Ayurveda. It is an ancient herb, used for thousands of years for its immense medicinal qualities. Its botanical name is Tribulus Terrestris. Tribulus, in a modern day, is used for bodybuilding, to relieve diseases of a uro-genital system and as a. It belongs to Zygophyllaceae family. English name – Puncture vine, Small caltrops, Tribulus, Cow hage. Madhunashini – Gudmar, is a herb popularly known for its anti- diabetic action and is mentioned in Ayurvedic treatment of diabetes, renal calculi, cough, snake poison and jaundice. Garden cress – Chandrashura is a very famous Ayurvedic herb. Its seeds are useful in are used in bloating, irregular periods, estrogen deficiency etc. It is for cooking as well. It is also called Alive Seed. English name- Garden Cress, Garden pepper cress, Alive Seeds. Ashtabula – Plantago ovata, more commonly known as Isabgol, is an Ayurvedic herb used for the treatment of constipation, distention of abdomen, herpes, piles. Jamun is a very important Ayurvedic herb. Jamun seeds are mainly used in Ayurveda treatment. Among other things, it is especially beneficial in controlling blood sugar levels in diabetics. India was previously called as Jambudveepa. An Island where Jambu trees are abundant. Its botanical name is Syzigium cumini or Eugenia jambolana or Myrtus cumini. It belongs to Myrtaceae. It is also known as Jamoon and Jambul. Jamun is a very important Ayurvedic herb. Jamun seeds are mainly used in Ayurveda treatment. Among other things, it is especially beneficial in controlling blood sugar levels in diabetics. India was previously called as Jambudveepa. An Island where Jambu trees are abundant. Its botanical name is Syzygium cumini or Eugenia jambolana or Myrtus cumini. It belongs to Myrtaceae. It is also known as Jamoon and Jambul. Kalonji – Nigella sativa – Small fennel, a promising spice against cancer and chemotherapy side effects, useful to lower cholesterol, useful in asthma, diarrhoea, nephrotoxicity (toxins in Kidney) and Hepato toxicity (toxic liver). It is a good anti inflammatry, analgesic, relieves pain, fever and inflammation. English name- Small fennel, Black onion seeds, onion seeds, Kalonji, Black seed, Simple Nigella. This particular remedy of Triphala is explained by master Charaka as a way to live for more than 100 years. Triphala – a simple combination of Amla, Baheda, and Harad is known to have the anti-aging effect for thousands of years. Its references to usage as anti-aging medicine are found in Charaka Samhita and Sushruta Samhita. Fenugreek is called Methi in Hindi. 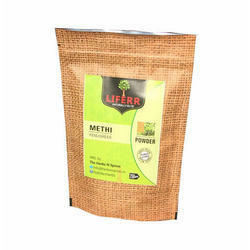 Methi seeds improve digestion, useful in anorexia and diabetes. 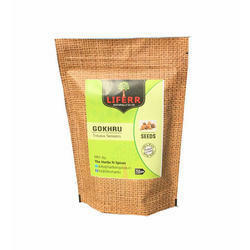 Fenugreek leaves are used as the vegetable in India. In English, it is called as Margosa tree or Neem tree. The plant with an auspicious name has medicinal usage extending from reducing ill effects of radiotherapy of cancer to maintaining Brahmacharya – Celibacy. Dill seed is an ancient Indian spice. Its seeds, seed oil and whole plant is used in Indian culinary. It is mainly used in digestive disorders. It is also called as Indian Dill. 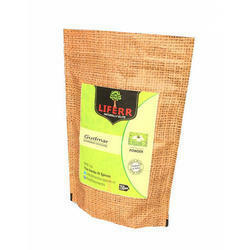 Looking for Liferr Herbal Products ?